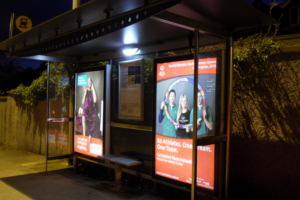 Following trials with a client, Solar AdTek supplied and retro-fitted solar powered bus shelter lighting systems to a number of existing shelters in Dublin. 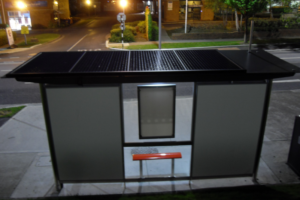 These were installed on sites that had no access to grid power. 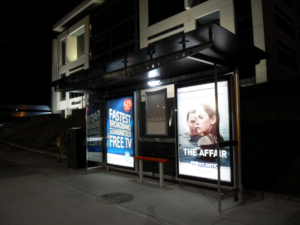 The bespoke LED lighting provided advertising illumination that was more uniform, more vibrant and with a better colour rendering than fluorescent lamps. In addition there is no ongoing cost of power, reduced maintenance and a saving of up to 2 tonnes of carbon per shelter per year.Having proven itself in Dublin over 7 years at 53 degrees North, the solar system will perform from Northern Europe, and populated Canada, to the most southerly tips of South America and New Zealand.